Phuket, Thailand a green island with fantastic beaches. Welcome to the island paradise of Phuket. Phuket is a green pearl in the Andaman Sea with golden-sand beaches and high mountain peaks covered with thick jungle forests. This spectacular island is in the south of Thailand with so much to offer its visitors. The exact location is between 7' 45" and 8' 15" north latitude and from 98' 15" to 98' 40" west longitude. 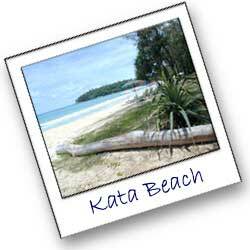 Phuket measures 21.3 kilometres at its widest point and 48.7 kilometres at its longest. 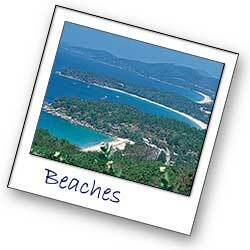 Surrounding Phuket there are 32 smaller islands which are possible to visit on a 1-day cruise. Phuket is a Mecca for diving, snorkelling and sun bathing. It has many dive spots and dive firms that can help both the inexperienced and experienced divers get the most out of their holiday. Throughout the year, the water temperature is around +30 degrees centigrade. For the person who prefers a more land based activity there are many from which to choose. Spend time on one of the many golf courses spread over the island or go bungee jumping, go-carting, elephant riding, shopping or visit the nature reserves.There is always something to do. In the evening enjoy a tasty meal at any of the hundreds of local food stalls. Try the upscale restaurants that serve dishes from around the world. Take a stroll along the beach or walk through the street-side shops that are open late into the night. Sit down and enjoy a cold beer at one of the many pubs that line the streets. There are family oriented night-shows as well as shows for the brave and adventurous. There's always a discos nearby. 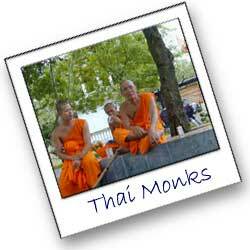 Thailand is a predominately Buddhist country. About 90% of the Thais living in Phuket follow Buddhist ways and believes. The language is Thai but many Thais also speak English. Phuket's roads and telecommunications are quite good. Traveling around the island and staying in touch with family, friends and business associates by telephone or through the internet is not an issue. Rent a car for a couple of days and take your time to see the sights. Visit Phuket-Guide.Com for more information about Phuket and its suroundings.